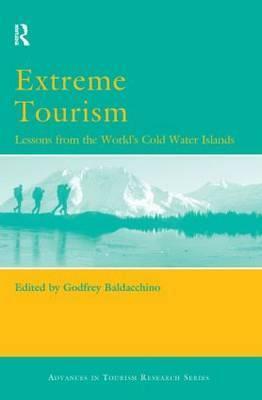 This book is a pioneering investigation of the tourism practices in the world's other, cold water, islands. Located in extreme latitudes and subject to extreme weather conditions, these islands have been developing their tourism appeal in manners that appear sustainable. They present themselves in images that speak to the pristine, unique and superlative aspects of their natural environment, history and culture. Limited seasonality, difficulty of access, restricted infrastructure, harsh climates and water too cold to swim in, are integral features of the tourism industry, often welcomed as appropriate filters to the slide to the mass market. The collection contains 13 island case studies. A set of seven hail from Northern latitudes: Baffin (Nunavut, Canada), Banks (Northwest Territories, Canada), Greenland/ Kaalaalit Nunaat, Iceland, Lulea (Sweden), Nunivak (Alaska), Solovetsky (Russia) and Svalbard (Norway). A second set of four cover the Southerly islands of Chatham (New Zealand), Falklands, Macquarie (Australia) and Stewart (New Zealand). Two other chapters discuss islands from the particular vantage points of cruise ship tourism, one for the Arctic region and one for the Antarctic. Additionally, five conceptual chapters provide insights into key tourism management issues, as they apply to cold water island experiences:(a) human resources; (b) environment; (c) promotion; (d) seasonality; and (e) access. List of Figures. List of Tables. Contibutors. Acknowledgements. Editorial Introduction (Godfrey Baldacchino). Section I: Conceptual Themes. Promotional Issues (G.M.S. Dann). Sustainability Issues (J.L. McElroy and B. Potter). Human Resource Issues (T. Baum). Seasonability Issues (L. Jolliffe and R. Farnsworth). Section II: Island Case Studies. Nunivak, Alaska(USA) (T. Berry). Banks Island (North-West Territories, Canada) (S. Marsh and Suzanne de la Barre). Baffin Island (Nunavut, Canada) (s. Milne). Greenland/Kaalaalit Nunaat (B.C. Kaae). Iceland (S. Goessling). Svalbard (Norway) (A. Viken). Lulea Archipelago (Swedan) (P-A. Nilsson and R.M. Ankre). Solovetsky Islands (Russia) (J. Nevmerzhitskaya). Arctic Cruise Ship Tourism (C. Thomson and J S Thomson). Falklands (UK) (S.A. Royle). Macquarie Island (Australia) (L.K. Kriwoken, C.F. Ellis, N. Holmes). Chatham Islands (New Zealand) (P. Wiltshier, A. Cardow). Stewart Island. (New Zealand). (C.M. Hall). South Shetlands and Antarctic Peninsula (T.G. Bauer). Section III: Conclusion. Epilogue: Contrasting Coldwater and Warmwater Island Tourist Destinations (R. Butler).